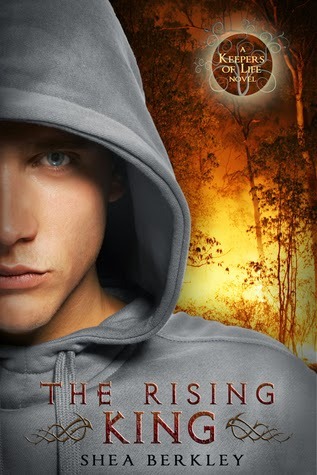 The Rising King by Shea Berkley Blog Tour and Giveaway! Age: Age doesn’t apply to her. She’s special like that. Ability: No one knows the extent of her powers or where they came from, yet everyone secretly wishes they had them. Leo. Even she was surprised to find out her feelings for the human were stronger than she thought. Chaos. Wherever she is, chaos follows, and she loves it. A good pet. Whether in human or cat form, she loves a good scratch and tickle. Everyone (except Leo). She only tolerates people because she enjoys seeing them fall into trouble, which she usually causes. Pux. She’d rather eat one than associate with one. But then, everyone kind of feels that way about the pux. 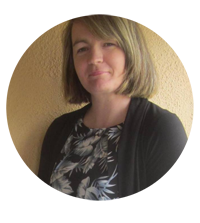 Shea Berkley has a fondness for characters, whether in real life or those she makes up in her head while tending to the multitude of mundane tasks she's forced to do in order to survive. Writing gives her purpose (okay it keeps her out of trouble...mostly), and she can't imagine herself doing anything else. (well maybe a zombie for the Walking Dead, but who doesn't want to do that?). Since she leans toward the pubescent, she fits right in with the Young Adult book crowd. 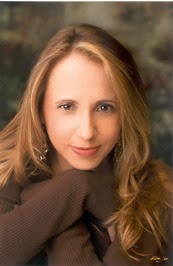 To find out more about her, go to www.sheaberkley.com or Facebook. Release by M R Merrick Spotlight, Excerpt and Giveaway! Welcome again to The Protector Series spotlight. We are on day 3 and today we feature an excerpt from Release. Please feel free to let me know what you think. All eReaders can also purchase Release through Smashwords. His power surged and slammed me into the wall. A bright light flashed over my eyes from the impact and I broke into a run, the concrete sliding beneath my feet. As he flexed his magic, his air element wrapped itself around a chair and pitched it through the air like a homing missile with me as its target. I took cover behind a concrete pillar and the chair shattered against it, splinters scattering across the floor. Power churned inside my body, water and fire pulsing through my veins in an icy flare. Spheres of magic formed in my palms as beads of sweat ran down my brow. I took a deep breath, centering my focus. I spun out from behind the column, red and blue magic drifting behind me like a comet’s tail. My elements shuddered and heat from the flame swirled as I pulled back my right arm, launching the flame forward. A stream of fire snapped through the air towards him. Shadows coiled around him, blending his body with the darkness. Another element pulsed, but this time it wasn’t mine. It was heavy, powerful, and smothering. His magic submerged me, forcing me to tighten my chest. I thrashed against the power, gasping for air while I tried to break its hold, and my flames flickered, then died. The fire and water receded and another element rose inside me. My own air element twisted through my body and pushed his power back, allowing me room to breathe. Magic rumbled inside me as I called more elements to my aid. The ground moved in a violent quake and my earth element rattled the walls. His body stumbled and his focus broke. As his element faded, I tore the water back up from that place deep inside my soul. Cold power chilled my body and burst towards him. A ball of ice shot across the room, shattering against his chest. Crystals of frozen magic sparkled and rained like diamonds to the ground. The shadows collapsed around him, vanishing back to the corners of the room, and Marcus dropped to the ground. Silence wafted through the room and I crept forward, awaiting his reaction, but he was hardly moving. His massive form lay on the floor, his chest rising and falling. I noticed a layer of sweat glistening off his dark skin as I inched closer. The black shirt that hugged his muscular form was smeared with white dust, and my crystalized magic littered the concrete around him. He took a deep breath and nodded. “You’re…getting much faster.” His face twisted as he propped himself up on his elbows. “What happened this time?” Marcus asked. Marcus laughed but quickly silenced it and narrowed his eyes. “We’ll see. Rayna laughed and followed after Marcus. Stop by M R Merricks website, Facebook and Twitter and say hi!! Enter the giveaway and come back tomorrow for a look at book 4. Shift by M R Merrick Spotlight, Guest Post and Giveaway! All eReaders can also purchase Shift through Smashwords. The Protector series wasn’t some life-long dream of mine. I never had aspirations to write any kind of novel, let alone one filled me magic and demons and adventure. I discovered my love for reading late in my life and I enjoyed it, but I was happy to watch a plethora of movies and play video games just the same. Exiled, and writing fiction in general, kind of happened to me by accident. It started with a rough day that turned into a rough week, which eventually curved into a rough month. I needed out. Out of this rut and away from the grey cloud that seemed to loiter around my head. More than anything I needed an escape, if only for a little while. Movies couldn’t hack it, video games weren’t enthralling me, and my desire to read had been vanquished, so I decided I’d create the escape myself. I couldn’t design video games and making a movie I’d actually watch seemed out of reach, so I sat down and started writing. But what would I write? I truly had no idea. I’d always had an odd obsession with the elements, so I thought about that. What if I could create fire in the palm of my hand, or take the water in a glass and have it bend to my will? I love vampires and shifters and all sorts of demons, but what if I changed the way they existed? I sat down and wrote that first night for six hours straight. It started with a fight scene between Chase Williams and what would eventually become my version of the vampire. They weren’t the undead, they were very much alive, and they had their own unique government. You could be turned, or born, but either way the hunters were your enemy. But I didn’t want the vampires to be the center of my story. I wanted it to be about more than that. When I looked up and saw how long I’d been at it, I realized I had something. All sorts of questions and details expanded in my mind. Who was Chase? Why was the demon after him? Why was he alone? Where are the other hunters? Wait…who’s this Rayna that keeps popping up in my mind? She’s sassy, I like her. No, I love her. I can’t stop thinking about any of this. Yep. There’s definitely something here. I spent the next while talking non-stop to my wife. She’s my soundboard and I bounced idea after idea off of her. She’d come home from a long shift at work and I’m sure she was overwhelmed by this sudden desire to write a book, and on top of that she was probably exhausted after a long day at work, but she listened to every word nonetheless and fueled my excitement even further. We spent hours talking that night. It wasn’t just me that was excited, she was too. This whole story could be amazing! That’s it, I was committed. This story would be written. I wrote the book, I added to it, I cut it in half, I rewrote it, I left it alone, I revised it, and I attacked it in every way I could. When I was done, I felt like it had come alive. This wasn’t just some mild attempt to escape the trials of life. It was a passion submerged in flames and swallowing me whole. The demons came to life, dark blood rippling beneath pale skin. Creatures from other worlds were born in the depths of my imagination: snake-like bodies slithered over the blue rock of Vortan, while multi-legged demons who spoke in youthful rhyme trampled through the stone mazes. I literally let my eyes fall shut and described the worlds as I saw them. Some were desolate wastelands while others were filled with such beauty it was difficult to describe. Drakar’s purple water ran along the coast, half-troll half-giant concoctions fished from the rivers, and tiny birds that could morph into massive creations would help you scale across the landscape…if you could get away from the hulk-like goblin that traded you for it. The fire burned from within, rising up and spilling out over my fingertips. Water healed the wounds the fire left, and the earth brought a peace to my soul so magical the pages turned themselves. The air pushed me forward when I didn’t think I could go any further, and the lightning crackled, reigniting my soul when my eyes grew weary. The other dimensions revolved around all the adventure inside Stonewall, New York, while Chase, Rayna, and the rest of the gang struggled through loss and heartache, begging one another not to give up. I had been consumed entirely by a world that all started with a single fight. I spent the next eighteen months researching things, and in 2011 I decided I would publish it. I hired two editors, a cover artist, and I invested in the opinions of a few trusted beta readers. On July 1st 2011, I clicked publish for the first time, and just as my life had changed when I wrote that first scene, my life shifted again. I met a plethora of amazing people through social media. I discovered bloggers and agents and writers who I’ve come to trust and respect. And most importantly, I took my first step forward with a career as an author. Of course none of this was as simple and easy as this post will make it appear. Each book had its own challenges, and life has thrown me many curveballs since it all began, but for the first time in my life I’ve found something I truly love to do and I’m committed to every part of it. I’ve never stayed at a job for longer than eighteen months. It’s inevitable that I’ll get bored and want a change, but here I am 5 years after I started writing Exiled and I’m still going. In that time, I’ve not only published one, but four novels. The Protector series has come to an end, with many standalone spinoff stories on the horizon, but right now I’m creating an entirely new world in Sacred Cities. One full of new demons, a new landscape, and a completely different adventure. All the while the last few months have been an assault on my imagination. New stories are being born and new ideas come to fruition each day. There may be a lot that is uncertain in this business, and even more so in this world, but the one thing I can say for certain is that my passion for telling stories and creating new worlds isn’t going anywhere. Come for the action, stay for the adventure, and if you want magic, monsters and imagination thrown in too, you’ve come to the right place. Stop by M R Merricks website, Facebook and Twitter and say hi!! Enter the giveaway and come back tomorrow for a look at book 3. 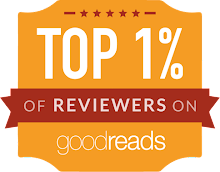 Whisper Falls by Elizabeth Langston Review! I was looking forward to delving into Whisper Falls by Elizabeth Langston after reading the blurb when I participated in the cover reveal. The idea of two eras coinciding intrigued me, having steered clear of any of these kinds of book/shows/films before, and I was looking forward to seeing how the author handled the difference in knowledge between the main characters. Speaking of which, we follow the two sides of the story from the POVs of Mark and Susannah. Both of them were likable characters. Both of them easy to connect with and relate to, and begin to care about the relationship between them. However, Susannah gave us a whole lot more to care about and intrigue us with than Mark did, and she/her plight was definitely the driving force of this story. Her circumstances, the life she faces, are heartbreaking and provide great focus for the reader—a focus that eventually bleeds over into Mark’s side of the story also, as he decides to make ‘saving’ Susannah his mission. Sadly, aside from his connection to this times-apart female, and his small ventures into ‘her time’, Mark doesn’t really have a whole lot of story to tell, and this is certainly where the pacing of the book began to fail a little. I mean, we have the addition of his sister ‘issues’ that his family seems to revolve around, but I couldn’t help but feel as those this was added merely to give his POVs ‘something’ more than because it contributed to the story, because the other ‘sister’ angle AND his best friend pairing up with Mark’s ex even could have been dismissed without hurting the story. And I think these additions not really interesting me very much were a big contributor to the dragging pace patches. In fact, the story went from quickly grabbing the reader interest to pretty slow, and only finally began to relocate its momentum on its final furlong toward the finish line. This is truly when I began to fully enjoy this story, and this is when I became 100% engaged and urging them toward their happy ending, whatever that might happen to be. And the happy ending was fulfilling. Not slammed closed too soon, and not dragged out for too long either. It definitely left me feeling somewhat satisfied. So other than the dull pacing for a big section of the middle of the book, and Mark’s overuse of the word ‘dorky’ to describe Susannah rather than showing her to us (which actually resulted in me forgetting for most of the story what either of them looked like), and the rather large issue I had with Mark’s research (he spent a LOT of the book researching Susannah’s ‘world’/background, but didn’t ONCE research the potential of ‘portals’ in Whisper Falls, which would be the FIRST thing I’d have Googled if this happened to me—so I consider this a plot hole)—yeah, other than those, I enjoyed this clashing of ‘times’, and felt content with the ending and happy enough to read on just as soon as I have time. Of Breakable Things by A. Lynden Rolland Release Day Blitz and Giveaway! 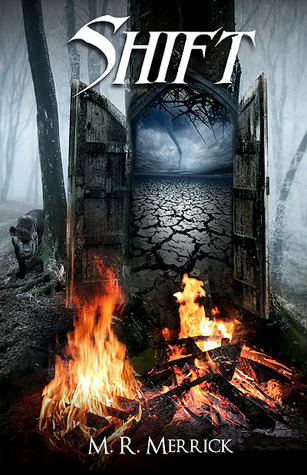 Exiled by M R Merrick Spotlight, Excerpt and Giveaway! Ok guys. Ive already featured these books on my Friday Favourite post but they are so good that I wanted to spotlight the series again!! Im talking about The Protector Series by M R Merrick!! Each day this week Im going to feature one of the books and Im also doing a giveaway for a paperback copy of one book in the series and the complete series in eBook format. I really think these books need more recognition so I'm hoping all of you will take the time to check them out. Ill also do spot giveaways from the comments to win any eBook in the series!! Exiled is FREE!!! Please consider downloading it, what have you got to lose!! Its an awesome series and each book gets better and better. I dodged the razor sharp claws coming towards me and turned to face the demon. I’d hurt him enough to force him to shift, but now I had to fight a bear, literally. He stood on his hind legs with his back to me and I took the opportunity presented, unsure if I’d get another. I leapt onto his back and stuck one silver dagger into each shoulder. He roared in pain and anger as the blades pierced his furry flesh, and reacted with a flurry of quick movements that threw me from his back. I fought to keep hold of one dagger as I hit the pavement, while the other remained stuck in his shoulder. The pitted asphalt burned and tore at my skin as I slid across it. The ground rumbled as the black bear stormed towards me. I jumped to my feet, but not in time to get out of the way. Its head collided with my stomach at full speed and smashed me into the crumbling brick building behind me. Black dots filled my vision as the wall broke at my impact, showering me with loose bricks and pieces of mortar. I shook my head to clear my vision and wrapped my scarred fingers around the blade jutting from his shoulder. As I twisted my wrist, there came a bone-chilling screech from his toothy snout. Roaring in agony, the demon stood and hauled my body from the ground, leaving me flailing over his head as I struggled to hold on to the dagger. I wrapped my legs around its neck while it shook from side to side with an unnatural speed, trying to dislodge me. The world blurred around me, but from behind his head, I forced the blade to his throat and pulled. The demon grunted as the blade split skin. Hot blood pumped over my hand but I didn’t hesitate. The violent movements slowed and a deep gurgling sound escaped from the bear’s throat. The smell of burning meat started to fill the air, and I pulled until I hit the spine. I’d sliced through the flesh; next came the hard part. I planted both feet against the bear’s back and pushed hard to help pull the blade through its spine. The bone gave under the pressure and I tumbled to the pavement as the dagger went all the way through. The creature stumbled forward, the grotesque head rolling off the shoulders. Its body started falling, and soon both it and the head were engulfed in flames and burned to ash. I stayed on the ground as the air my lungs craved rushed into them in waves. This had been the third attempt on my life in two weeks, and I couldn’t count how many there had been in the last three years. No matter how many times I survived, there was always another danger around the corner, and I still wasn’t used to being the victim. I was Chase Williams, a demon hunter. I wasn’t supposed to be the one looking over my shoulder; I was supposed to be stalking the prey. I winced in pain as I lifted myself from the pavement, and brushed ash off my clothes and skin. I had to find a new way home; the demons had gotten all too familiar with this one. The usual disappointment filled me as I approached my apartment. Broken windows and trash-littered patios were a sad sight to come home to. The broken hand rail shook and the stairs squeaked with each step. Fresh graffiti decorated the landing and I had to use my finger to open the door, which lacked a knob. All that aside, I was relieved to have made it home in one piece. Even if it required standing in the discolored, low pressure water from my shower for an hour, this blood would wash off, and I’d live to see another day. I stood in the shower until the water turned cold before I gave in to my body’s demand for rest and went to my bedroom. I took in the mattress on the floor, the scratched and faded dresser, and the wobbly lamp with a sigh. It wasn’t much, but it was mine. I fell onto the bed and relief washed over me. My body was consumed by pain that for anyone else would be even worse the next day, but not for me. I knew the scratches would fade, the scabs would heal, and the throbbing ache of having been thrown into a brick wall would be gone. By tomorrow I’d be good as new: one of the few perks to being a hunter. I stared up at the cracked ceiling as muffled angry voices leaked through the wall. The sound of breaking glass and swearing followed as the neighbors started their nightly routine, which had become my lullaby. Their screaming pushed my body towards sleep, and as sleep approached the screaming faded. Darkness tugged at my eyes and I couldn’t fight it. I gave into my body’s urge for rest and fell into the dreamscape. Meal: Cereal – It’s good ALL the time, but steak is good too, oh, and pasta! Movies: Just a few: Troy, Interview with a Vampire, The Town, Gladiator, Hitchhiker’s Guide to the Galaxy, Cinderella Man, Definitely Maybe, Fool Proof, Donnie Brasco, and the list could go on and on. Music: Eminem, Paramore, The Kings of Leon, Macklemore, Classified, Hedley, We The Kings, Musicals (Especially Rent and Joseph), Brad Paisley, Sublime, Rise Against, and Rancid to name a few. I’m an eclectic when it comes to music, as long as I can understand what they’re saying, I’m probably going to enjoy it. T.V. : A few I love and a few that are no longer with us: Supernatural, Buffy the Vampire Slayer, Angel, The Buried Life, The Newsroom, Game of Thrones, Vampire Diaries, Rome, Big Bang Theory. Stop by M R Merricks website, Facebook and Twitter and say hi!! Enter the giveaway and come back tomorrow for a look at book 2. Also if you have or already have downloaded Exiled put the order # in the comments and Ill pick a winner for an eCopy of book 2 from those who comment. 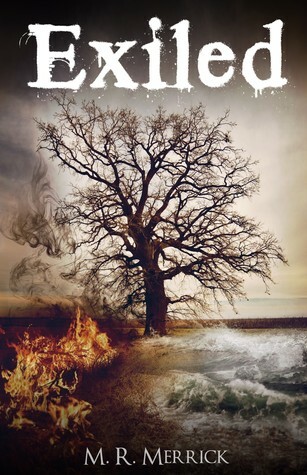 After The End by Amy Plum Review! Pandemic by Yvonne Ventresca Review! Adaptation by Malinda Lo Review! Breaking Butterflies by M Anjelais Review! Sleep No More by Aprilynne Pike Review! 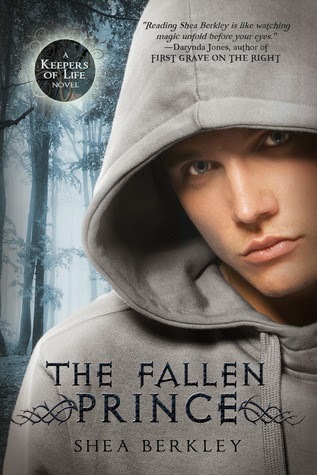 The Fallen by Keri Lake Review! The Dead Ground by Claire McGowan review! Freedom by S.A. Wolfe Book Blitz and Giveaway! The Eight Day by Dianne K Salerni eARC Review! 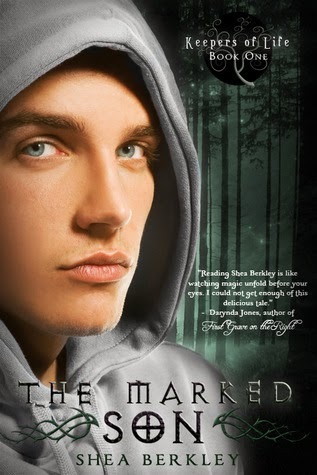 The Taking by Kimberly Derting eARC Review!